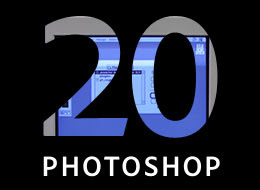 GEEK GIRL KNOWS: Happy Birthday Photoshop! TWEET me @GeekGirlKnows or post a comment here and I will answer them all tonight! 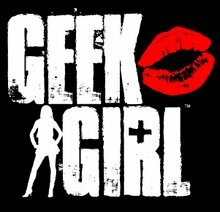 Maybe we will even do a special GeekGirlLive video on USTREAM where I answer the questions LIVE! Stay tuned...either way, we will celebrate Photoshop with some fun Q&A today. And if you have some time, check out all the fun stuff Adobe is doing in celebration of this special day with flashbacks of Photoshop 1.0 all the way through the software's evolution by clicking HERE. I get the impression that you are an avid fan and user of Photoshop. Please tell me that you DON'T use Photoshop on any of your pictures on your blog, FB, etc. as I want to believe that is all 100% you and your natural beauty. If not...lie to me! Not sure if you've heard of NAPP (National Association of Photoshop Professionals) before, but I highly recommend watching the big show they put on with Adobe Thursday night for the 20th anniversary of Photoshop. Scott Kelby (dot com) is where you can find the link (or Photoshop User dot com), and it was pretty cool. I'm a big fan of Ross, and I work for NAPP, so I knew you'd be interested in this stuff. Thanks, Gator Kim! I will definitely have to check that out! !